About | Driver Manager | Manages Your Driver Updates. 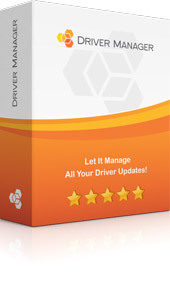 Driver Manager was designed to minimize the time consuming driver updating and troubleshooting procedures on your PC. Earlier, updating the drivers on your PC was a time consuming task. Finding the hardware with faulty driver issues, visiting the manufacturer’ site and searching for the latest version for updating your driver in the course of which you were required to go on with multiple downloads to select the most appropriate version. Driver Manager answered these complications through its substantial database of latest drivers and proprietary software that identifies the driver compatibility by the manufacturer. Driver Manager not only aims to reduce the time consuming driver updating procedure but also provides required updates upon the connection of any new hardware to your PC guaranteeing smooth and efficient function of your computer system.